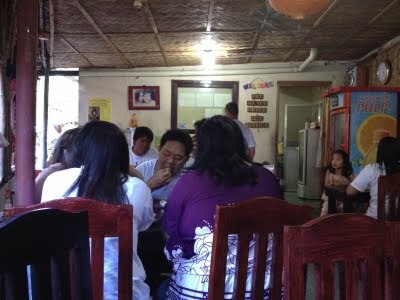 At a time when Tutubi's favorite halo-halo joint in Paete closed shop, he instead drove to a halo-halo joint frequented by locals of Pakil and those from neighboring Pangil and Paete towns serving simple yet creamy version of halo-halo in Pakil, featuring typical halo-halo in the fourth district of Laguna featuring well-done beans as ingredients of the basic halo-halo recipe. just to be sure but knowing the standards of his sister and friend in halo-halo, the simple test is usually in creaminess. 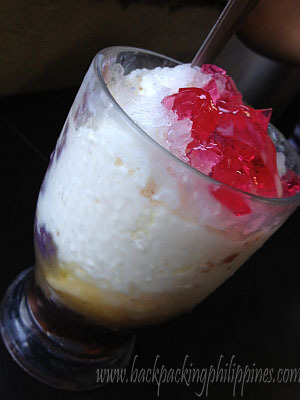 Halo-halo making involves art, you don't just mix ingredients in a bowl, put shaved ice and milk on it. Chowking's halo-halo used to be like it, dull and un-creamy, even if boasting of many ingredients, but somehow improved these days.